Welcome to the Classic Cult TV Club, (CCtvC), episode four with Justin, Lisa, Alex, Terry and Janette. 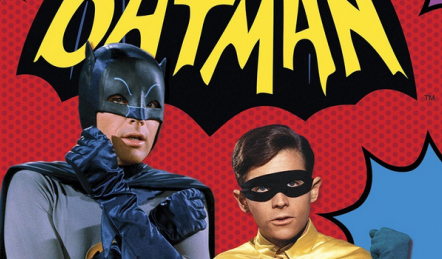 In this episode “culters” discuss the dynamic duo of daring do, Batman and Robin the boy wonder in the classic of classics, the iconic 1960s Batman TV series, the one with that theme tune, dada dada, dada, BATMAAAAN”. A strong contender for the Classic Cult TV Club’s cheesiest show ever gong, the series, though only running for two years from 1966 to 1968, certainly packed a punch in popular culture.